Bursting with raw indie rock charm, The Vaughns’ “Coffee Sundae” is a tasty dessert full of intense flavors and a dash of jealousy. One listen to The Vaughns’ new song is all it takes to get hopelessly hooked: Bursting with raw indie rock charm, “Coffee Sundae“ is an intense dessert full of deep flavors and a dash of jealousy. 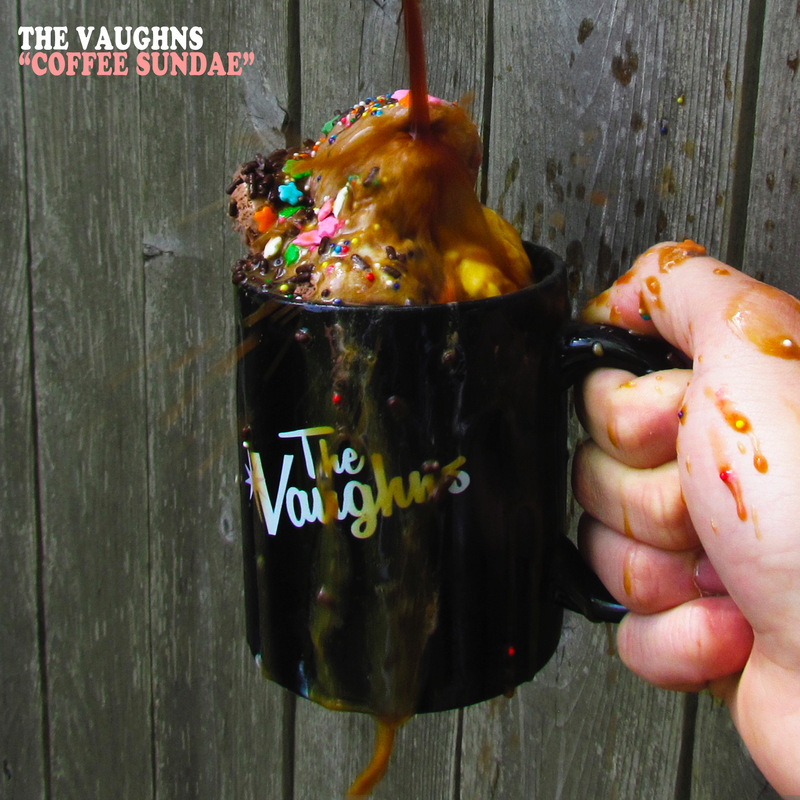 Atwood Magazine is proud to be premiering “Coffee Sundae,” the latest single from The Vaughns. Hailing from Asbury Park, New Jersey, The Vaughns have that special spark, a glimmer of something new and raw that stands out from the rest. There’s a glow about the quartet of Anna Lies, David Cacciatore, Ryan Kenter, and Tom Losito. Maybe it’s the smell of success; maybe it’s just teen spirit. Whatever the case may be, The Vaughns have asserted themselves as a mainstay of the New Jersey music scene over the past four years, and they are now ready for a bigger stage. 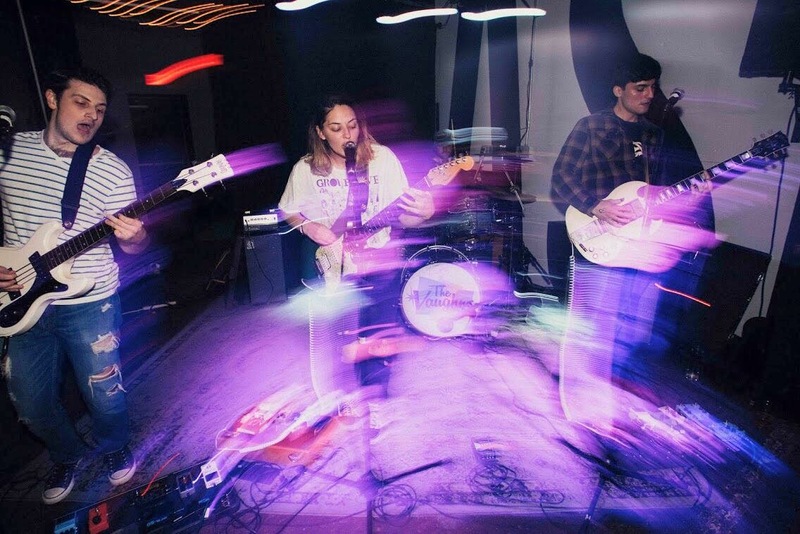 They proved that earlier this year with the punk, driving song “Bring Your Kids to Work Day,” and they’ve proven it again today with “Coffee Sundae,” a fun and vibing track that dwells in jealousy and instability. to talk about the fine print? that can happen in a public setting? “Coffee Sundae” is, in many ways, an emotional unveiling of all the insecurities we wish we could tell our significant (or insignificant) others – the many secrets we keep to ourselves, for better or for worse. “The whole song kind of dabbles in feelings of jealousy, at times diving head first into them and at times attempting to compose them,” The Vaughns explain. “It was a challenging song to piece together, but we are happy with how quirky and fun it turned out. We owe a big thanks to our producer Erik Romero at Lakehouse Recording Studios and our pal Bruce Krywinski for killing it on trumpet. There’s a fiery charm about a song that keeps us on the tips of our toes the whole way through: You have to pay attention, listen closer than usual, and really force yourself into the moment to fully appreciate what The Vaughns are doing, and when you get there, the reward is truly worth it. “Coffee Sundae” is full of little nuggets – whether it’s the background trumpet bursts that give the song its spice, the onslaught of energy at the song’s repetitious end, or something else altogether. For a story as tense as this one, The Vaughns manage to create a relaxed, laid back atmosphere full of smooth vibes and fiery warmth. Lyrically, “Coffee Sundae” paints poignant pictures of a rocky relationship: “Your heart it seems a little too crowded; I’m not crying, but babe, I’m not jazzed about it,” Lies sings in the finale, driving her point home as hard as she can. Yet rather than being overwhelmed with emotion, The Vaughns kick back and relax. They make “Coffee Sundae” a fun moment that radiates with bright instruments and cheerful melodies, a song you want to sing all summer long and more. In short, “Coffee Sundae” just might be your new favorite song. Soulful and raw, it’s the perfect mix of passion and drama as Anna Lies flirts with extremes, while keeping her cool. Stream The Vaughns’ jealous single exclusively on Atwood Magazine, and connect with this artist to watch below for music and updates. 2018 promises to be the year The Vaughns broke out of Jersey – whether they like it or not.